Have you ever considered how much money you could make if you took the time to gain some insight about your investing options and had access to sophisticated and up-to-date resources? Do you feel like you have worked out a dynamic plan for the future that will allow you to maximize your potential profits and maybe even enable you to retire several years early? In a nutshell it boils down to working out and setting aside from your monthly earnings a figure that you feel comfortable dedicating to a designated purpose, be it your retirement or to generate extra cash, perhaps both. Let’s consider security and retirement needs. If you happen to be in your late teens or early twenties, that is the ideal time to purchase a term life insurance policy and lock in the very low monthly premium. Unfortunately, money put into a savings account will not collect enough interest to keep up with the rising cost of living. Buying mutual funds is a wonderful way to indirectly invest in the stock market. They can range from aggressive growth to a more balanced portfolio: The latter reduces both potential risk and return. If you follow this route for generating retirement income and even if you use a financial advisor it is still vital to routinely monitor the performance of your portfolio and make adjustments when necessary. A more involved and assertive approach still, is to allocate for both retirement and extra income. Think that all of your problems are just going to disappear once you finally get rid of your boss? Like entrepreneurs, retirees are looking for a life filled with freedom, time, and plenty of energy to enjoy it all. Yet things don’t always go as planned, which means that you have to come into the world of retirement with your eyes open. It’s easy to be optimistic when there’s time on your side. If you’ve been paying attention to the personal finance circuit, then you’ve already heard how important it is to start saving early. You will need to ensure that you really do try to contribute as much as you can as early as you can. We’re not saying that you have to automatically think about maxing out your retirement accounts when you might have other concerns, but if you can get away with it, it’s definitely something to think about. We still do believe that clearing down debt is equally important as saving for retirement — if not a little more so. That’s because you can’t enjoy anything when there’s debt hanging over your head. You can’t enjoy the great things in life when it feels like, you’re sinking. So where do you begin? Well, it’s time to look at the current financial situation that you have and get realistic. If you are still 20 years away from retirement, you have quite a few options. You can invest in things that might be a little riskier, because you have time to make up losses. Looking at risk allocation matters here as well — just because you want to get some risk into your portfolio doesn’t mean that your entire portfolio has to be risky. Reviewing your retirement goals from a lifestyle perspective can also help. If you’re already on the cusp of declaring official retirement, you’re going to really need to think about the type of life you want to lead. No, you don’t have to think about wineries and companies, as the popular commercial often goes. If you just want extra time to spend with your family, then you can definitely achieve that goal if you want it bad enough. The trouble that people make if that they start reading about all of the cool stuff that other people are doing with their retirement, and then they start feeling guilty. But if you don’t really have those goals in your own heart, you’re not going to really feel motivated to take the steps that you need to take in order to really reach those goals. The first road block will leave you breathless, and then you won’t want to get anything done. You have to fight through that mentality as much as you can. Now is the perfect time to get real about retirement. Again, getting expertise isn’t a big deal. Getting support isn’t really a big deal. If you need support, go get it. If you need assistance from a qualified professional, get it. The last thing that you want to do is think that you have to make all of these life changing decisions in a vacuum. Take charge of your financial life by getting serious about retirement — that’s the best way to go! Are We Really Putting Away Enough for Retirement, Or Are We Just Kidding Ourselves? We have an announcement to make that you might want to key into right here, right now, especially if you’re interested in retiring something in the distant future: you might not be putting away enough for retirement. Doesn’t that just sound like the stuff of scary headlines everywhere in the finance world? Nobody wants to wake up and find that they really didn’t save enough for retirement. However, you will definitely want to make sure that all is well with your nest egg, because you might have more expenses than you think once you reach your retirement years. Health care costs have been on the rise, and let’s face it — Medicare Plan B coverage isn’t going to cover everything. That means that you’re going to have to shell out for supplemental coverage, or you’re going to have to basically pay out of pocket for the things that Plan B doesn’t cover. Having Medicaid can help obviously, but the reality is that you have to be at poverty levels in order to receive assistance from this program. Health isn’t the only area that costs a lot — your housing needs are important too. Your home might be fully paid off by then, but it also might not be paid off in full — especially if you have an outstanding HELOC or home equity loan on it. It’s essentially a second mortgage that can keep you from really enjoying the type of life that you’ve always wanted. 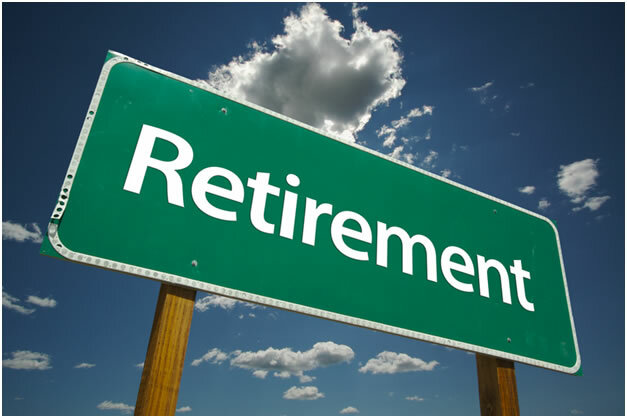 Defined benefit plans in the world of retirement have gone bye bye, leaving behind an uncertain retirement world. You have to make sure that you’re saving enough to also make up for inflation. Inflation is basically the concept of your money not being worth as much in the future. $1,000 today isn’t going to be $1,000 by the time you reach retirement age. So you want to make sure that your saving pattern and your investment pattern combine together to beat the overall rate of inflation. In order to really crunch the numbers, you can find a wide variety of calculators online. All is not lost if you’ve found that the savings plan that you’re on just isn’t enough to allow you to stop working. You might just need to contribute more, or adjust into a more aggressive investment portfolio. If you’re willing to take on a little more risk now in order to grow your portfolio, feel free to do so. If you want assistance meeting these new retirement goals, then we strongly encourage you to get in touch with a good investment and finance advisor that can give you more specialized advice. Of course, make sure that they are fee-based — you don’t want anyone taking out a huge percentage from your portfolio’s value — that’s just money down the drain. Now is the perfect time to really make sure that everything is right within your retirement world. After all, if you don’t think about it nobody else will! 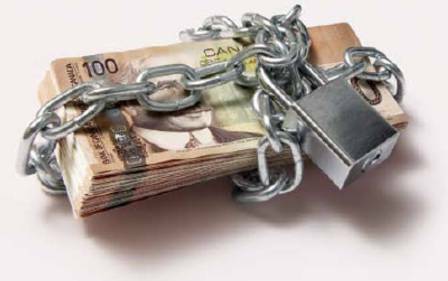 Is Your Retirement Really Safe In the Bankruptcy Scheme of Things? Choosing to walk down the path of bankruptcy is something that can absolutely change your entire life. It’s hard to pick through the attitude that a lot of the media has towards bankruptcy. If you let the media tell it, everyone declaring bankruptcy is just looking for a free ride out of their problems. If you haven ‘t woken up and had to make the decision on whether to eat or pay the bills, then you haven’t walked through some of the choices that many people facing bankruptcy have had to make time and time again. If you’ve worked hard all your life and built up a nest egg, you might think about using it to cover your debts. However, when you make the decision to take future savings and apply it to debts that are covered under the bankruptcy code, you’re actually throwing good money after bad purposes. You see, the assumption made here is that the bankruptcy trustee will simply seize your retirement account and use it to pay off your debts. That’s just not true at all — there are exemptions made for all types of different assets. For example, if you have a modest home, you are most likely not going to be forced to give it up in the bankruptcy. This is because you have to live somewhere. Same with your car — you have to get back and forth to work and to take care of your children and/or other family members. The bankruptcy process is a matter of public policy, which means that it’s not designed to be incredibly cruel. Now, if you have a five million dollar home, you can bet that you’re not going to be able to keep that. In addition, if you’ve got a luxury sports car hiding in your asset sheet, that’s going to be taken away from you. However, if you’ve got a 3 year old car that you’re making modest payments on, you’re highly unlikely to lose that car just because you filed bankruptcy. But let’s get back to the retirement account. It’s all about amounts here, as well as the type of retirement account that we’re talking about. A 401(k) that has less than a million dollars in value is going to be exempt — over that amount and you can expect some trimming to be done. The assumption is made here that a million dollars is for the future years where you will not be able to work. There’s no reason to think that you will be expected to take your precious savings and put it toward debts that will be discharged anyway. Be cautious of any financial planner that tells you otherwise, or tries to make you feel guilty because you want to hold onto that money. There may come a time where you’re not able to replace that money easily. If you end up taking loans out of the account to pay off debts that can be discharged, you’re only slowing down the growth of your money tremendously. Of course, it has to be said that if you have a million dollars in the retirement fund for the future, you will definitely be better off hiring a bankruptcy attorney. Assets of any kind mean that you need to have legal representation at your side. Even if you think you won’t need it, running your case details over with a qualified attorney that has the bankruptcy experience is definitely a good thing. The last thing that you will want to do is try to hide the retirement account. Thanks to bank disclosure laws today, you cannot hide money in any way, shape or form. It’s very difficult to do, and if you’re found out to be purposefully hiding assets, you’re going to end up losing your ability to discharge your debts. That’s not even the worst thing that can happen — you can be thrown in jail for bankruptcy fraud. It’s a federal issue, and it’s a very serious one. 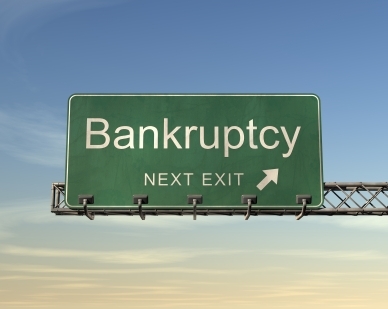 You don’t want to walk down this road — and any bankruptcy attorney worth their retainer will tell you the same thing. Overall, your retirement is definitely safe even in the face of bankruptcy. So don’t pillage your accounts to take care of problems that are already covered by public policy and established precedent! Retirement can be pretty fickle these days. Between rising and falling 401(k) accounts and an uncertain economy, there’s a lot of talk about how to shift gears when you’re furiously trying to save for retirement. 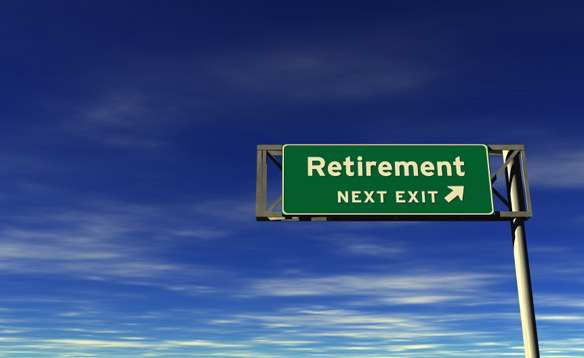 However, what about when you actually reach the golden gates of retirement? Are they really golden or is that gold just a spray on thing? Just about every financial outlet has weighed in on how to make your retirement truly golden and not just that type of fake gold that turns green in the shower. There’s no reason to feel like you can’t have a great retirement, but there are things that you have to think about — like, uh, how to actually move around during the retirement phase. There’s good news and bad news — the good news is that a lot of your money will stay in your retirement account, happily collecting interest and growing along with you as you age. However, the bad news is that you can’t just keep your money in the account forever and not touch it. You will eventually have to withdraw it. The IRS has graciously allowed you to keep the money in the retirement account for decades because they know there’s really only a matter of time before you will have to pull the money out of the account and spend it — paying taxes in the process. The government really wants to make sure that they get those taxes, so they have regulations about your retirement. When you reach 70 1/2, you will have to start making what is referred to as required minimum distributions. As the name implies, this is where you will actually need to start taking money out of your account. The first thing to figure out is your required beginning date — RBD for short. Generally speaking, your RBD is usually April 1st of the year after you turn 70 1/2. From there, it’s all about calculating your RMD — the number that will determine how much money has to run out of your account. You will need to look up the life expectancy tables from the IRS — Table III is what will be used to figure out your RMD. Keep in mind that it varies from year to year, so you will need to figure it out every year. Of course, your retirement account’s custodian will usually give you this figure, but it never hurts anything to check it out for yourself. Your RMD is based on the fair market value for your entire retirement account. Keep in mind that this is the minimum that you will be expected to pull from your retirement accounts every year — 9if that number seems low to you, then you can definitely withdraw more. However, you will have to realize that it will equal less earning power in your account, which can be sort of hard to swallow. Proper budgeting is definitely key to making sure that you take the amount that you need for your life without having to destroy the nest egg that you’ve worked so hard to protect. Overall, it can be hard to figure out what you need to do when it comes to retirement, but you don’t have to go it alone. Even though we’re big fans of DIY, you can take the information that you learn online and go to your financial advisor in order to develop a plan that actually works well for your unique situation.